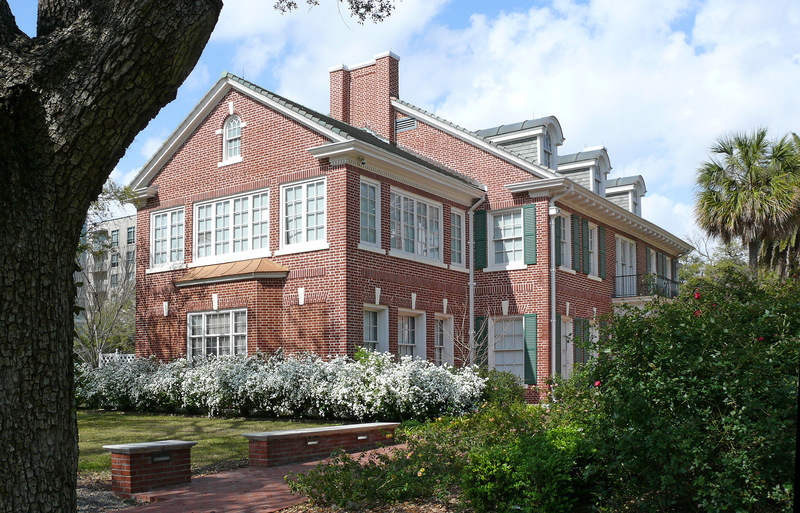 The Clayton Library Center for Genealogical Research is located in Houston, Texas. It originally compromised of the genealogy section of the original Houston Public Library located in the Julia Ideson Building in downtown Houston. The genealogy collection was moved to the Clayton House in 1968. The genealogy collection continued to grow. After an anonymous donation of the land next door to the William Clayton house, groundbreaking of the new Main Building began. It opened in 1988. As one of the Houston Public Library System’s special collections, the Clayton Library is recognized as one of the nation’s top genealogical research collections. USA and State Materials – As one of the largest collections in the United States, Clayton Library has many sources available on microprint and in book form. Clayton’s holdings include county and state histories, as well as abstracts of records such as wills, deeds, marriages, court minutes, vital records, church, cemetery records, and colonial collections of several states. Texas and Houston Area – Clayton Library has a large collection of material related to Texas and the Houston area specifically including some special collections such has the Boulevard and Fogle West Funeral Home Records, City of Houston Death Records, the R.B. Blake Collection and other archival materials available on microfilm that cover early Texas history. Census Records – The Clayton Library has all of the Federal Censuses that have been released and copies of many censuses taken by state and governments during “off” years. Passenger and Immigration Sources – Clayton library a large collection of National Archives passenger lists on microfilm for U.S. Ports from 1820 into the 20th century. Indexes are available on most ports through the mid-20th century, on microfilm, in books, and electronically. Naturalization records and indexes are available at Clayton for many areas including Harris and Galveston counties in Texas. Special Collections – Clayton Library has a list of special collections. These materials are generally manuscript documents that have been microfilmed and made available for research. The material covers Fifteenth, Sixteenth, and Seventeenth century time periods. Family Histories – Clayton Library has one of the most extensive collections of published and unpublished family histories in the southern United States. The collection contains over 15,000 cataloged volumes and extensive vertical file materials. Military Records – Clayton Library holds microfilm indexes to federal services records from the American Revolution through the Philippine Insurrection, indexes to confederate and union service records, and indexes to service records in the Mexican war, Indian wars, and the Spanish-American war.